Louisiana State University students are lucky. 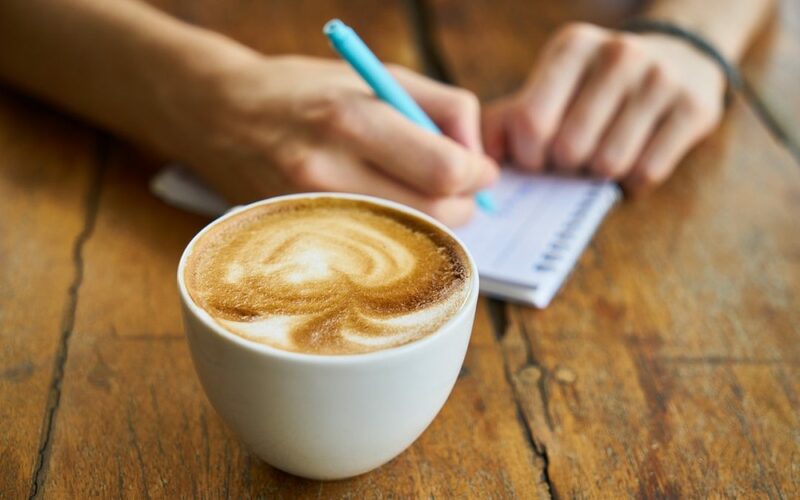 All around Baton Rouge, LSU students can explore a variety of coffee shops in search of the perfect place to study, meet friends, or just get a quick caffeine fix. You’ve got multiple locations of your much-loved national chains (like Starbucks and Dunkin’ Donuts) within city limits, and they’re always prepped to deliver the comfort of a familiar flavor. But you’ve also got local highlights, like Magpie Cafe and Highland Coffees, or Southern staples, like CC’s Coffee Shop and PJ’s Coffee, all offering something for everyone. Looking for an upscale, more serious sip of espresso? Head to Highland. But if you’re craving a sweet and satisfying frozen mocha latte, go straight to CC’s. Whatever coffee drink you need to get through finals week, you’ll find it in Baton Rouge. With locations both downtown and in the historic Perkins Road Overpass District, Magpie Cafe is a local staple. Along with extensive, craft coffee menus, they make pastries and sandwiches in-house and from scratch, focusing on wholesome, seasonal ingredients. The menu at the Overpass location changes weekly, so make sure to call ahead or check their website to see what they have in store. You won’t want to miss out on boozy banana bread, bacon jam meat pies, or homemade pop tarts. One of Magpie Cafe’s highlights is Mindful Monday, an event series focused on the theme of awareness. Every Monday, they host an event, such as a yoga or nutrition class. They also host independent events, like cocktail-mixing classes, live music, and craft workshops. Born in South Louisiana, CC’s Coffee House is a much-loved, local joint that’s quickly spreading across the state and landed in Baton Rouge. You’ll find stores all over town, from Perkins Road to Jefferson Highway and around the LSU campus. They’ve got everything you could ever wish to wake you up in the morning, from classic medium and dark roasts to a frozen Mochasippi® — a thick and chocolatey iced beverage blended with real shots of espresso. If this all sounds too much for you, opt for a cup of tea. Their specialty selection includes the popular, award-winning classic black iced tea. Your local Starbucks always has exactly what you want: a frothing, hot latte and a comfy nook to sip it in. Baton Rouge is home to a half-dozen locations, including setups at College Drive and Bennington Avenue, and Perkins Road and Bluebonnet Boulevard. And the best part? Reliable, free Wi-Fi. They also offer a variety of healthy snacks like fresh fruit and organic popcorn, or for a heartier bite, you could order a breakfast or lunch sandwich like a panini or a flatbread. If you’re not within a comfortable distance to a Starbucks, reports say more locations will be coming to Baton Rouge soon, including on O’Neal Lane and another planned for the Arlington Marketplace near the south gates of the LSU campus. Needing a caffeine fix but you have class in five minutes and can’t go too far? Around the LSU campus, you’ll find coffee shops in the Design Building, Barnes & Noble, and Middleton Library, to name a few. The Middletown Library has a CC’s Coffee House, and the Design Building and Barnes & Noble host a couple of Starbucks. Also, check out the Einstein Bros. Bagels in the Student Union for a searing-hot pick-me-up. Highland Coffees can be found at the historic north gates of the LSU campus. They take their roasting seriously, and offer exceptional coffee drinks, as well as an extensive line of fine teas. They import their coffees from East Africa, Indonesia, and Central and South America, and roast their beans in-house. Originally born in New Orleans, PJ’s Coffee made its way to Baton Rouge. You can find locations on Lafayette Street and the L’Auberge Casino. Grab a spot at the PJ’s closest to you, and order any of their speciality coffee drinks or smoothies. Aside from coffees, they are much loved for drinks like the Green Tea Velvet Ice (jasmine green tea matcha powder blended with milk and Monin Melon syrup) and the Ginger Peach Palmer Tea Mixer. Dunkin’ Donuts is a reliable coffee shop, serving the iced coffees you’ve grown to know and love. You can find shops on Florida and Bluebonnet Boulevards serving up their famous coffees, classic donuts, and Munchkins®, as well as breakfast and lunch sandwiches. They’re perfect for indulging in a midafternoon caffeine boost before your last class of the day.